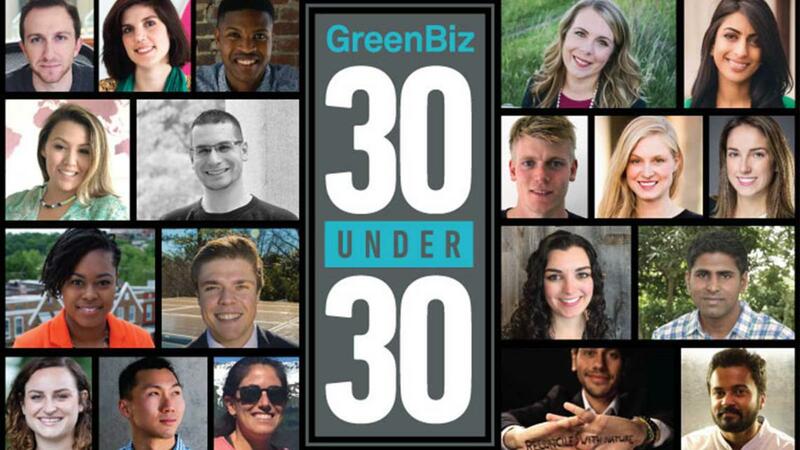 "GreenBiz’s ’30 Under 30’ has proven to be a significant opportunity to showcase the best of the next generation of sustainability leaders, and several of those featured in 2016 and 2017 already have parlayed the honor into new jobs and career opportunities," said GreenBiz chairman and executive editor Joel Makower. "We look forward to continuing to accelerate the careers of young professionals who are leading the charge." Past honorees have come from some of the world’s largest companies, including Apple, Asia Pulp & Paper, C&A, Cummins, DanoneWave, Dow Chemical, EY, IKEA, Interface, JetBlue, Lexmark International, Morgan Stanley, Saint Gobain, Salesforce, Steelcase and Unilever. Nominations for the 2018 GreenBiz "30 under 30" can be made here Individuals may nominate themselves, but will be asked to include at least one reference. The nomination period will extend through April 13, with the 30 honorees to be notified in May. The final selections will be made by the GreenBiz Group editorial team, with nominations coming from readers and members of the GreenBiz Executive Network and the World Business Council for Sustainable Development, as well as from GreenBiz’s own staff and professional networks. GreenBiz Group’s mission is to define and accelerate the business of sustainability. It does this through a wide range of products and services, including its acclaimed website GreenBiz.com and e-newsletters, GreenBuzz and VERGE; webcasts on topics of importance to sustainability and energy executives; research reports, including the annual State of Green Business; the GreenBiz Executive Network, a membership-based, peer-to-peer learning forum for sustainability executives; and conferences: the annual GreenBiz forum and VERGE. WBCSD is a global, CEO-led organization of over 200 leading businesses working together to accelerate the transition to a sustainable world. It helps make our member companies more successful and sustainable by focusing on the maximum positive impact for shareholders, the environment and societies. Member companies come from all business sectors and all major economies, representing a combined revenue of more than $8.5 trillion and with 19 million employees. Its Global Network of almost 70 national business councils gives members unparalleled reach across the globe. WBCSD is uniquely positioned to work with member companies along and across value chains to deliver high-impact business solutions to the most challenging sustainability issues. This was originally posted on https://www.greenbiz.com/.